So is it really no wonder that most of American cities are in such a sad shape of despair? People in northern liberal cities are leaving those cities in record numbers. Steven Crowder conducted an in depth expose on the collapse and decay of the once mighty industrial city of Detroit. I know liberals are going to find fault with the video. Of course I expect that much. Even a so called conservative attacked Steven Crowder on his video. I still can't figure out the reason why that is. I'll go more into that in part two. Hell has officially frozen over!! Ultra leftist Ed Schultz has given Sarah Palin the "Eddy" Award for 2009! Welcome to the Twilight Zone! I'm not disagreeing with Ed Schultz at all in him giving Sarah Palin his "Eddy Award" for 2009, because he's actually right for once. I just never thought he would give credit to his and other liberal's most sworn enemy since George W Bush times two. I'm going to break this down to what it really means. The left has tried to label Sarah Palin as being the dumbest most clueless woman to ever step onto the national political stage. It all started last year and has just snowballed out of control ever since. What Ed Schultz said is very realizing, and he unknowingly contradicted the claims of his fellow Palin hating liberals. The day after the election, I stated that Sarah Palin wants to run for president in 2012. I stated the biggest obstacle to her running would be her serving out her first term as the governor of Alaska. For those of you who don't know why Palin serving out her first term would be a problem for a presidential run, here's the reason why. If Sarah Palin would have served out her first term to completion and not decide to run for a second term, she would have left office January 22 2011. The Iowa Caucus is I believe January 3rd 2012. Sarah would have had less then a year to organize a national campaign basically from scratch as well as set up a support staff in Iowa and other states. 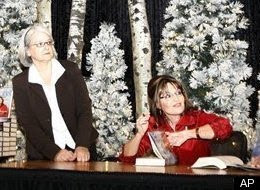 When fringe kook Alaskan Palin haters filed 19 frivolous ethic violation complaints against Palin, I believe it provided Sarah a way out of being governor in order to focus on a presidential run without being obvious to that reason. The legal expenses to Sarah were more then real don't misunderstand, but it actually played into her favor. In other words, liberals actually did Sarah Palin a favor by filling their ethic complaints. I believe Ed knows that as well. This woman from Alaska isn't as dumb as the left desperately wants to portray her as. If anything, Sarah Palin is a politically calculating fox with lipstick and a smile. This year alone, Sarah Palin revolutionized social networking in regards to her getting her message out to her supporters and bypassing the venom of the media. She has had a major foothold in the national debate this year on several keys issues just by typing on a computer. No political figure can lay claim to that. Her book tour was a record breaking success. Isn't it just a little bit odd that her book tour took Sarah to states that are presidential battle ground states? It's not odd at all. That was nothing more then Palin's political savviness at work. On her book tour, one of her stops was in Western Iowa. Western Iowa just happens to be the conservatives stronghold of Iowa. Ed Schultz might be a liberal kook, but he's not completely dumb, and he knows what any self professed politically astute person knows. Take emotion pro or con out of the equation when it comes to Sarah Palin. Her book tour allowed her to plant the seeds for a presidential run. In several polls, Sarah Palin is practically tied with Barack Obama. She has managed to repair the damage in her likability among independent voters that the media helped to cause last year. She has solidified her base as Ed factually stated. Her Political Action Committee is racking in money left and right. Palin even promoted Sarah PAC on her tour bus. Tell me again this woman is stupid. So actually she accomplished five key objectives on her bus tour. 1. She connected with her base "rallying the troops". 2. She sold a ton of books " made a lot of money". nomination and to win the presidency. "planting the seeds"
I haven't even talked about next year. I have a feeling that Sarah just isn't going to campaign for any politician who claims to support her values. I bet she will campaign mainly for politicians running in key battle ground and red states. I'll save that for another time though. I'm sure as the new year approaches, Ed Schultz will bring out the knives yet again against Palin. One thing is certain. As liberals, political pundits and the media are figuring out, they might hate Sarah Palin's guts, but they know they aren't dealing with a some clueless "Caribou Barbie" as they wish they were. Obama has a problem. Al Qaeda still exist even after Bush is gone. Liberal pacifists almost got their wish. With George Bush no longer in the White House, returning to a pre 911 mindset should have been a piece of cake right? Obama gave his historic speech to the Muslim world in Cairo Egypt earlier this year. All should have been right as rain, guess again. The excuse by anti profiling and progressive pacifists that Umar Farouk AbdulMutallab acted alone can officially be trashed. Al Qaeda has claimed responsibility for the attempted bombing of flight 253. Do any of you know that this mean? This means that terrorism still exists in an Obama world, imagine that. The argument that was presented by the left is that "George Bush created more terrorists under his administration". Well with less then a month to go until the first anniversary of the Obama "error", what now will be the excuse among his most loyal supporters? Obama has done everything from telling Americans how gee golly nice Muslims really are to giving greetings to Muslims on their holidays such as Ramadan. Oh yes, Obama has gone as far as to try and white wash America's Judah-Christian heritage away by claiming "We are no longer a mostly Christian nation". So Obama and left have made concession after concession after concession. George Bush was just as guilty as Obama in this department. Every time I heard Bush claim that Islam is a religion of peace I wanted to throw a shoe at him myself. Time for a harsh reality check for Barry, liberals and neoconservatives alike. Al Qaeda could care less about Barack Obama and his outreach to the Muslim world. Al Qaeda is now more embolden then ever before. They sense that our country finally has the weak leadership in which they can do what it pleases. Our country was attacked on 911 by Al Qaeda, yet "the United States wasn't in Iraq or Afghanistan at the time. I know our country has people dumbed down enough to honestly believe that once or if our troops are pulled out of Afghanistan and Iraq, Al Qaeda and other basket case Islamic groups will just leave us alone in peace. The attempted Christmas day bombing is a further illustration that evil people with twisted minds can't be negotiated with or appeased. If Al Qaeda had the power to fly another airliner into a another American skyscraper, they would do it in a heartbeat. So we already know that airport screenings in our country are going to be increased for people who are not suspected terrorists. My question now along with others is this. Is Obama going to take action against Al Qaeda or will he merely just down play the entire incident like a typical pacifist liberal would do? I have a brilliant idea. Maybe Obama can invited Al Qaeda to the White House for next year's Ramadan Dinner function. Homeland Security Secretary Janet Napolitano claims that "the system worked" in the prevention of Delta Flight 253 being blown up. Where should I even begin with this one? What alternate universe is Janet Napolitano residing on? In an interview on CNN's State of the Union with Candy Crowley, Janet Napolitano stated that there was "no suggestion that Umar Abdulmutallab was improperly screened". Right now as I'm writing this, I am expressing a cynical sneer as I am reflecting on the comments of Ms. Napolitano. So according to her, "there was no evidence that Abudal was improperly screened". So how come Mr. Umar was able to sneek explosives onto an American bound airplane in Amsterdam if he was properly screened? You got to love those trick common sense questions. I'm just thinking from the hip on this, but I believe if Umar Addulmutallab was "properly screened", the airport security would have found the explosives. Now that I think about it, how does Ms. Napolitana know that Mr. Abdulmutallab was properly screened? Did she fly over to Amsterdam and have already met with Amsterdam officials? Has she already conducted and concluded an international terrorist plot investigation in less then 48 hours?! I've never known for the federal government to work that fast. She also claimed that the "system worked" in the fact that the plane wasn't blown up. The only reason why flight 253 wasn't blown up on Christmas day over Detroit is due to fact that the EXPLOSIVE DEVICE MALFUNCTIONED!! In other words, "the system worked, because the bomb didn't work". So this is what we have representing the organization that is responsible for protecting our homeland? This has to be a nightmarous cruel joke right? It's comments like the ones from a naive liberal like Janet Napolitano that is the reason why Americans don't trust liberals on the issue of National Security. I have a sad hunch that airline screenings are going to be much stricter going forward. I don't have a problem with that necessarily. The thing I don't like is that out of political correctness, "groups that are known for not being candidates for suicide bombers" are going to subjected to the stricter screenings. I said yesterday that liberals were going to try and explain away Mr. Abdulmutallab as merely being a "lone wolf" and not apart of a large terrorist plot. Janet didn't disappoint. I apologize for claiming that blacks voted for Obama because he is black. Why did I say something like that in the first place? I was obviously wrong right? How could I possibly say that blacks voted for Obama, because he's black and not have any proof to back it up? As at token of my apology to black Obama supporters. Here's a few videos I dug up by rappers Jay Z and NAS that were released a week or so before the inauguration of Barack Hussein Obama. Oh yeah and about that apology of mine. Just watch the videos. Listener discretion is highly advised in the videos due to the huge display of concentrated ignorance and profanity, but the videos will speak for themselves and once again back up everything I've been saying from day one. Trying to deny the obvious is like trying to swim out of quicksand. Even parents have to come clean with the their children about Santa and the Tooth Fairy at some point. Don't doubt me. It looks like Sarah Palin is right again, this time on the issue of profiling. Is Sarah Palin qualified to become President? One of the crucial qualifiers for a person to be a leader of a city, state or even a country is the person's ability to have a key sense of "sound judgement". Back in November, Sarah drove the appeasers up the wall in an interview conducted by Matt Continetti. Her comments came a few days after the Fort Hood terrorist attack in which the radical Muslim Major Nidal Malik Hasan killed 13 soldiers while wounding 30. These are the comments Sarah Palin made in her interview with Matt Continetti. Sarah Palin "There were such clear, obvious, massive warning signs that were missed. This terrorist, even having business cards" that identified him as an "SoA" or soldier of Allah." Palin blamed a culture of political correctness and other decisions that "prevented -- I'm going to say it -- profiling" of someone with Hasan's extremist ideology. "I say, profile away". " Such political correctness "could be our downfall." If the upcoming investigations into the attack reveal bad decision-making on the part of senior officials, Palin continued, those officials ought to be fired". No doubt those on the left considered Palin to be an even further right wing hate monger for her "closed minded remarks", however it appears that Sarah Palin's words have come home to bear fruit. Yesterday on Christmas day, a person tried to commit a terrorist act in American airspace by trying blow up Delta Flight 253 that was arriving to Detroit from Amsterdam. The suspect tried to detonate an explosive device just before the plane landed. If it weren't for the device malfunctioning and the passengers attacking the suspect, 278 people would have been killed in a Christmas Day terrorist attack. So what about the origins of the suspect? I can tell you all with certainty that the suspected bomber isn't a radical Christian, Hindu, Jew, or Buddhist. Come to think of it, I can't recall any terrorist attacks in recent history that have been carried out by the above groups mentioned. The suspect accused of trying to blow up Delta flight 278 is named Abdul Farouk Abdulmutallab. 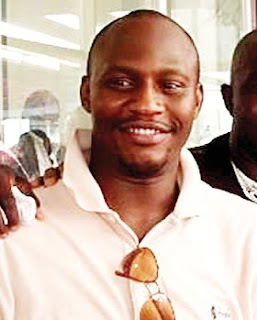 He's a Nigerian Muslim who claims to have links to Al Qaeda. Profile Away? I'll use Sarah's infamous caught phrase, "you betcha". Political Correctness will wreck this country if people don't wake up. Since the flight to Detroit originated in Amsterdam, I have to wonder what is their screening protocol for explosive devices and international terrorist suspects. Amsterdam is a very liberal city, and I'm curious whether the Muslim suspect knew that and thought he would have a better chance of sneaking an explosive device onto a plane in Amsterdam rather then trying to do it in another European city. Of course, the liberal apologists are going to come out and tell everybody "not to jump to conclusions". The media is already trying to state that Abdul Abdulmutallab may have "acted alone". The appeasement media needs to realize that it really doesn't matter whether the suspect acted alone or as a part of a organized group. The suspect is still a radical Muslim who tried to commit a terrorist attack. In June, Obama addressed the Muslim world from Cairo Egypt. I thought after Obama's address Muslims were suppose to start liking us. Actually I didn't think that at all. I was being sarcastic. I guess something didn't go according to Obama's plan. Obama doesn't want to use the word "terrorist" in his vocabulary, so I wonder what he considers what happened with Delta flight 253 yesterday? Was it a "potential fatal mishap" perhaps? It definitely looks like there is a contrasting world view between Sarah Palin and Barack Obama. One sees the world through the eyes of a naive child and one sees the world through the eyes of an adult realist. Figuring who's who should be a no brainer and who is qualified to be president based on sound judgement to understand the obvious. As you all know, I've never been a person to champion the stupidity and mind numbing ignorance known as political correctness. Everywhere I've gone over the last couple of days, I've said Merry Christmas to those who uttered "Happy Holidays" to me first. 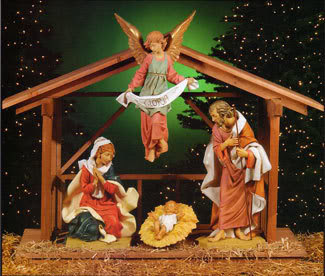 Jesus Christ is the true meaning behind Christmas. It's pretty pathetic how liberals have such an inferiority complex when it comes to the words "Jesus", "Christ" and "Christmas". A few week ago, a young boy was suspended from school for merely drawing a cross. I'm sure if that kid would have drawn the Obama symbol, his teacher would have given him an "A" grade for being "creative". It never ceases to amaze me how cowardly many retailers are. They know that the Christmas shopping season accounts for most of their profits during the year, yet they are too gutless to even mention the holiday in which they are advertising to customers to shop in their establishments. The whole premise of using "Happy Holiday" as some sort of comprise so in not to "offend" others who don't celebrate Christmas is an obnoxious insult to people like me who do celebrate Christmas. It's not my problem that others who are uncomfortable at the mention of the word Christmas suffer from an inferiority complex. I've heard this Christmas season that some malls have banned the playing of religious Christmas songs. Funny how that doesn't surprise me. Maybe the malls and the schools should just play the different variations of the many Obama songs instead. I wanted to say this a few days ago, and finally I have a chance in which to do so. Anyways, Merry CHRISTmas to all. Oh, to those who are offended by the picture of the manger scene, "oh well tis the season deal with it". So liberals don't use the race card against people who dare oppose Barack Obama right? One again the self professed smartest people in the room are coming out looking like a bunch of idiots. So liberals are saying that it is the "conservatives" who are obsessing over Obama's race and not them? I quote one of Jim Curry's famous lines when he use to star on the television show In Living Color, "al righty then". Democrat U.S Senator Sheldon Whitehouse of Rhode Island invoked the race card from the bottom of the deck Sunday in describing people who are against any type of a socialized medical bill as being "right wing Aryans". The Senator was either lying to or was in a case of denial when Washington Times report Kerry Picket shortly confronted Senator Whitehouse to ask him abut his comments. This is how pathetically desperate the left is. They can't even fess up to their own comments, When I comment on Obama and race, it is most of the time in response to how liberals worship Obama based on his political ideology in combination with his race and also how liberals use Obama's skin color as a weapon against anyone who doesn't support his policies like how Senator Whitehouse demonstrated. Let the words of people like Jimmy Carter, David Epstein, Nancy Pelosi and now Senator Sheldon Whitehouse further provide proof of what I've been saying along. It's hysterical how the left wants to attack me, yet they can't attack the evidence that I so easily am able to present time and time and time again. Once again, attacking the messenger doesn't discredit the message guys. Why do blacks continue to make excuses for Barack Obama at every turn? Most blacks still show unshakable support for Barack Obama while non whites who voted for Obama have reevaluated their support for him. I got criticized by the left both black and white for my comments on why the main reason blacks voted for Obama in the first place. The one question to this day that they still have a hard time answering is "how is Barack Hussein Obama any different from any other liberal politician to run for president? The answer is he isn't. Race was promoted heavily among Obama's supporters during the campaign. The word "historic" was used constantly. It's comical listening to black Obama supporters who call into radio talk shows in what seems to be desperate attempts to defend Obama and change public opinion of him. The most used talking point among black Obama supporters is that "he needs time to fix the problems" or that the people who don't like him are "racists". Of course it will never dawn on them that it is Obama's own policies that are extending the economic problems and in many cases making them worse. In a Gallup poll conducted last month it showed that Obama's support among white voters is down to just 39%. The same poll showed that black support for Obama has averaged 93% during his time in office, and has been at or above 90% nearly every week during his presidency.I commented last month for the reason for the steep decline among whites. Independents are mostly made up of white voters, and those voters are fleeing from Obama in record numbers. Blacks on the other hand are overwhelmingly registered Democrat. I believe blacks who defend Obama at every turn lack any credibility. The same black Obama supporters who loyally defend Obama were the same ones who blamed George Bush for the 911 attacks or claimed he orchestrated the 911 attacks seven months into his first term. Most blacks blamed the 2000 recession on George Bush even though the dot-com bubble started under Clinton and burst three months after George Bush was sworn into office. I find it extremely two faced that black Obama supporters want everybody else to now give Obama "a chance and more time", yet they didn't "practice what they are now preaching" when Bush was in office for eight years. I came across an interesting video interview segment conducted by a black news and opinion site called "The Grio". Harlem isn't exactly known for producing politically savvy and knowledgeable voters. I've said many times before that those who think along lines of race tend to not think at all. Here's a classic video from last year in which a person from the Howard Stern show interviewed people in Harlem. The person presented the positions that John McCain supported and made them appear as if Barack Obama supported them instead. Hopefully race and ignorance won't factor in the 2012 outcome. Obama leaves early from the global warming summit in Copenhagen so he wouldn't get caught in a record snow storm coming home. A major snow storm is heading up the East Coast. Baltimore is scheduled to receive almost two feet of snow. With a week before Christmas, who would have ever thought that snow still exist? Didn't Al Gore say that "the earth has a fever" or something alone those lines? If the earth is heating up, how come the Mid Atlantic and East Coast are scheduled to receive record snowfalls? It's not that I'm calling Al Gore a liar. I'm merely calling him an opportunist who stands to financially benefit from his huge lie about man being able to impact the weather. I guess I am calling him a liar after all. I found it ironic almost hilarious that while the global fooling crowd is gathered in Copenhagen, a man made global warming blizzard dumped snow on the city. Copenhagen rarely ever gets sow. For the snow fall to happen during the global fooling summit is almost like God deciding to have poke fun at them. Well Barry had to rush home early before the final vote in Copenhagen on a global fooling slush fund pack could be reached. It was all due to the "weather back home". Here's an interesting side note. Many socialists and communists gathered in Copenhagen for the global fooling farce. The biggest applause came at the event when anti American dictator Hugo Chavez gave an anti capitalist speech. As the two faced, hypocritical frauds cheered on Hugo Chavez, I wonder what was miles per gallon of those stretch limousines and the carbon footprint of those leer private jets that brought them to Copenhagen in the first place? As for Hugo Chavez, if he truly hates capitalism as much as he claims, why don't he just give away his worldly goods? One would think that he would just give away the state owned Venezuelan oil to the world's needy right? Oh wait, he charges for that oil. Citgo is owned by the country of Venezuela. I don't remember Citgo gasoline ever being given away for free. By Citgo making a profit for selling it's gasoline, Venezuela is also making a profit, but Hugo doesn't seem to mind that though. I thought making profits is suppose to be icky? The gathering at Copenhagen in many ways is the far left's version of Woodstock just without the mud and drugs. I believe the gathering of the kooks there was more about being seen then actually doing anything about their "championed cause". Any agreement that comes out of Copenhagen isn't binding on the United States anyways. Let it snow, let it snow, let it snow. 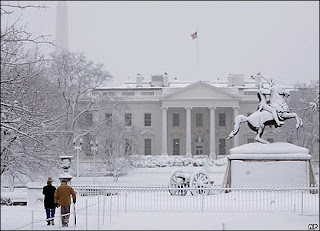 Maybe the snow will keep Obama out of the country for a few more days. The liberal civil war at MSNBC may be starting. Welcome to the Twilight Zone. A civil war among the left may be starting to break out on of all places MSNBC. Chris Matthew's man crush on Obama is worse then I thought. 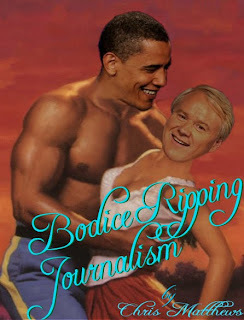 Matthews is so goo goo eyed over Obama that now he is attacking his own fellow liberals who criticize him. This was Chris Matthews on Thursday interviewing John Heilemann from the New Yorker. Chris wasn't amused by the far left fringe of the Democrat Party attacking his beloved Barack Obama. I wish I could play the Tammy Wynette song "Stand by your man". That's what Matthew's defense of Obama reminded me of. Chris Mathews is an old school Democrat partisan political hack dating back to the Carter administration. Chris needs to be brought up to speed on the news that the Democrat Party was purchased in 2006 by the far left loon bat group Moveon.org. They've even said "we own it". So in reality those "nut roots" as Chris called them do own the party. Chris Matthews attacking the far left is part of the story here, but there is another element. Today on the Ed Schultz show, Ed had on his show the founder of the Daily Kos Markos Moulitsas to give him a chance to respond to what Chris said about the liberal bloggers and leftist fringe groups within the Democrat Party. If I didn't know better after watching the interview, I would have sworn that Ed invited Markos on his show so that the two of them could gang up on and tear down Chris Matthews for what he said the day before. Ed Schultz is the real deal fringe left wing loon bat. I've never known for the host of one political commentary show to have a guest on his show for the sole purpose of attacking the host of another political commentary show who shares the same ideology and "on the same network"! Both Ed & Chris work for MSNBC. Chris may want to try and tone down his affection for Obama in the near future. Barack Obama may be the leader of the Democrat Party due to him being the president, but it's those kooky nut rooters that ultimately control Obama and the Democrat Party. If Matthews watched the interview between Ed & Moulitsas, I doubt very much he had a tingle up his leg. 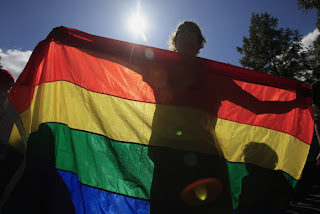 The Washington DC City Council voted to approval the legalization of "Gay Marriage". Today, it can be said that the District of Columbia's City Council went rogue and voted against the will of their voters. What the hell right? Congress is doing the same thing right now on a national level. I have a very strong feeling that today's votes by the DC City Council wasn't with the blessing of the majority of the residents of the city. Blacks whether they want to admit it or not are conservative on several important issues. Once of those issues is that they believe that marriage is defined as being between one man and one woman. The black churches in Washington DC may parade the Democrat politician around every election cycle, but the black pastors don't promote homosexuality or the alteration of marriage from the their pews. Today by an 11-2 vote, the City Council of Washington DC approved to legalization of Gay Marriage. In all of the news stories I've read today about the City Council vote and the bill's passing. I haven't read one story yet from black citizens who make up the majority of the population of Washington D.C. Of course the media will stick their microphones and cameras into the faces of the people who support gay marriage in DC "mainly white liberals", but they won't stick those same microphones and cameras into the faces of the black residents of DC. Here's the reason why that is. The media has presented the face of what they deem "homophobes" as being that is "conservative white males". If the media was to film blacks showing opposition to the passing of a gay marriage bill in DC, it would destroy the media's presentation on what typical "homophobes" looks like and are. Some of the black clergy are already speaking out and are vowing to fight the City Council's vote as far as they can and for as long as it takes. Rev. Harry Jackson is the pastor of a huge mega church on the outskirts of D.C who lead the fight to stop the passing of the gay marriage bill. Reverend Harry Jackson said something that re enforced what I've known all along. "In D.C., some very vulnerable black councilmen went along with the city council, and some of these guys will not be sitting in those chairs in 2010 elections". I would love to see polls conducted by Gallup, Rasmussen, Zogby and other pollsters to show how the residents of D.C truly feel about the actions taken by the City Council. Some members in congress have already vowed to try and stop the City Council bill from becoming law. I see a potential unification among black and white religious conservatives in trying to stop this bill from becoming law. The passing of this bill should serve as a wake up call to blacks who unknowingly support Democrat liberal politicians and don't know where they stand on the issues. Things like this happen, and the voters are left asking themselves what in the hell just happened? The Governator attacks Sarahcuda over global fooling aka "Climate Change". Arnold is an idiot, and I can't wait to see his "End of Days" as the governor of California next year. I'm not just insulting Arnold just for the fun of it. The guy really is seriously stupid. If Arnold would have done his research, he would have known that John McCain believed in man made global warning too and he won the Republican Nomination. So Arnold's "theory" has been officially and factually may I add "terminated". So he wants to know what is Sarah Palin trying to accomplish? I'm going to go off on a climb in saying this, but I think Sarah Palin is trying to accomplish educating fools like Arnold. With out a script memorized, Arnold is pretty useless. Just last year, Arnold spouted nonsense about "the fix is in" about global warming. Arnold Schwarzenegger like most liberals is a huge two faced hypocrite. 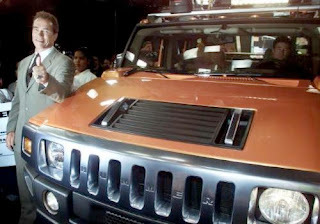 Not only does this global alarmist drives one of the most gas inefficient and emission spewing vehicles ever made, that being a Hummer H1, he also commutes by plane twice a week from his mansion in Brentwood to the state capital in Sacramento. I doubt Arnold ever calculated his "carbon footprint" even once. I also doubt Arnold's mansion is "environmental friendly". The people who buy into the hoax of global warming aka global cooling aka climate change claim to be so smart about the subject. Funny how the ruling class of smarts can't explain how their pope "Al Gore" doesn't have any credentials to make him an expert on the subject of climatology. The only means the global alarmist folks have to prop up Al Gore is his joke of a movie "An Inconvenient Truth". Sarah Palin knows the truth. People like Arnold can't handle the truth. I would bet money on Sarah Palin any day that she could destroy Arnold or Gore himself in a debate on whether man made global warming is real or not. Also, it's ok for Arnold to question the motives of Sarah Palin in 2012. Unlike him, she can plan for 2012. He can call it wraps next year. How low can the approval numbers of a B- rated president go? With 11 days before Christmas, I've received one of the best gifts this year. The gift of people finally snapping out of the "yes we can" daze that they were in since early last year. The latest Rasmussen daily Presidential Tracking Poll on Monday shows that only "24% of the nation's voters Strongly Approve of the way that Barack Obama is performing his role as President. Forty-two percent (42%) Strongly Disapprove giving Obama a Presidential Approval Index rating of -18". Obama's approval numbers are fast approaching that of George W Bush's during the last two years of his second term. Of course the community organizer turned president is still clueless to what is going on around him. Obama thought that he could push forth his socialist agenda, and he thought that people wouldn't say anything in opposition. Almost a year later, I still can't recall any legislation in which Obama supports that is popular with Americans. 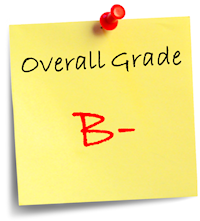 Coming up on the one year anniversary of the Obama "error", Obama gave himself a "solid B+" grade for his performance. I think Obama must have gone back to smoking stuff other then cigarettes if he truly believes he deserves a B+ grade.The economy isn't growing, foreclosures ,personal and business bankruptcies are at an all time high, banks aren't lending money, states are racking up record debt due to lack of sales tax revenue. Every time when the economy is an issue, Obama goes back to his good old reliable bogeyman of George W Bush. What Barry doesn't understand is that "the blame bush cow has run out of milk". People might not have been major fans of Bush, but at least they knew that under the eight years of the Bush presidency, the unemployment rate was never as high as it is now. I've said this many times before. If Obama was truly a moderate, his platform wouldn't be rubbing the majority of Americans the wrong way. It's really that simple. To the left it isn't that simple however. Will Smith thinks that Barack Obama represents a "flash point in the evolution of humanity"? How in the hell can so many people on the left be so freaking mentally screwed up?! I haven't been to the movies in years and for good reason. I will not contribute my hard earned money to a community of hypocritical, communist loving, dim witted Hollyweird drones. Hollweird is a place where when people age it doesn't bring maturity. Actor Will Smith said in an interview with CNN that Barack Obama marks a "flash point in evolution" for humanity. Liberals believe that Barack Obama is the smartest person to ever hold the position of President. They worship him as some sort of god like person. They become very insulted when people challenge them on their claim of his intelligence. They still can't answer to this day why their beloved messisiah refuses to release his grades from when he attended Occidental College, Princeton and Harvard. This is what happens when a typical Hollyweird liberal like Will Smith speaks without having a script prepared for him to memorize, he sounds foolish. Contrary to what Will Smith said, there is nothing evolutionary about Barack Obama, and he hasn't played a historic role on the world's stage in regards to being a great humanitarian figure. What I'm saying may sound harsh to does who are Obama supporters, but the facts are the facts. Great humanitarian figures that come to mind are Mahatma Ghandi, Mother Theressa, Billy Graham, Dr. Martin Luther King, President Ronald Reagan, These people are etched into the timeline of humanity, because they have actually contributed to the changing of humanity with their deeds. Obama was merely elected to a political office. Barack Obama today while accepting his honary Noble Peace Prize admitted that he did nothing to deserve it. I have to give him credit for him admitting the obvious. Praise and accolades come when people actual do things to earn them not just for merely being born a certain skin color and elected because of it. That's something Will Smith and his fellow celebratards will never comprehend. It's just not in their script. The idol worship of Barack Obama has gone global. The worship of the man who dances with teleprompters has now gone global. This statue of Barack Obama was created in Indonesia and was placed in the Indonesian capital today to coincide with Obama receiving his Nobel Peace prize "for what we still don't know" even though he just ordered 30,000 more soldiers to Afghanistan. 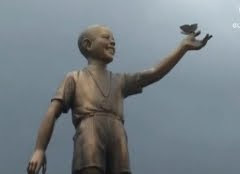 This man has had songs named after him, schools renamed after him, and now he has a statue made in his image. Not bad for a who hasn't done anything to warrant any of it. I'm not sure I see the point of this statue though. Obama did attend school for a short period of time there when he was a child, but he isn't a citizen of Indonesia nor a political figure in Indonesia. I wonder what's the story behind the "Friends of Obama Foundation"? Are they like the new age version of the Jim Jones grape koolaid sippers or something? People on the left attacked those on the right for bringing up the issue about the time Obama spent in Indonesia as a child. The left said it was "irrelevant". It looks like the people in Indonesia don't think that. Jon Stewart may have found his George W Bush replacement. Looks as if the liberal natives in Hollyweird are getting restless with Obama. Now the latest liberal entertainer to join the line of disillusioned supporters of Obama is comedian Jon Stewart of Comedy Central's The Daily Show. When a liberal starts to use common sense, that is a sign that his or her liberal core is starting to show some signs of cracks. I could be wrong though. Jon could be just going after Obama, because it is merely funny for him to do so. Then again, David Letterman calls himself a comedian, yet all he does is lick the knee caps of Barack Obama at any given moment. Jon use to attack Bush more then any other comedian I know. Maybe Jon realizes that him being a pom-pom waving cheerleader for Obama won't do wonders for his comedy show or career. Jon's segment on Obama was not only funny, but it was 100% accurate. The mocking of Obama by Stewart is something I would expect Stewart to do against Bush not against Obama. The knives are truly starting to turn inwards among Obama's "loyal" hollyweird supporters. It's such a "funny" thing to watch. Kooky liberal arrested for throwing tomotoes at Sarah Palin. Let this story be the end all proof that Sarah Palin is driving liberals insane. Today while Sarah Palin was signing books in Minnesota at the Borders Bookstore in the Mall of America, a liberal basket case took it upon himself to try and become a hero of the left by throwing two tomatoes at Sarah Palin from a second floor balcony. Needless to say, he missed terribly with both throws. Liberals aren't exactly known for having great hand eye coordination. Not only did the kook miss hitting Palin by a mile, one of the guy's tomatoes hit a police officer right in the face. The fool aka Jeremiah Wobbe of St. Paul was promptly arrested and may face charges for his well thought out actions. And for the record, I don't believe for a moment that Governor Tim Pawlenty had a role in this lol. I think back to last year when a deranged conservative tried to throw tomatoes at Obama during his campaign rally. Oh wait, a conservative never tried to do anything stupid like that. Those on the right tend to exercise something that the Palin hating left doesn't seem to posses, it's called maturity. With every passing day Sarah Palin remains in the lower 48 states, the left seems to be getting that much more desperate, deranged and unstable in their rhetoric and now their actions aimed towards Palin. The next thing you know, they might try and throw shoes at Sarah like the Iraqi guy tried with Bush. This is what happens when Sarah goes traveling into those hostile blue states. So what's next for the Palin hater society? My how the mighty have fallen. I guess once Sarah resigned as governor of Alaska, her haters really didn't have any true ammo left to go after her. From frivolous ethic complaints to now throwing tomatoes? Maybe they'll try spitballs next. I guess we are all racists for opossing Obama Care. Only a whacked out fringe liberal kook believes that if a person opposes Barack Obama based on his policy, that person must be an inherit racist or hold some sort of racist sentiment towards Obama. Using liberal logic, the only conclusion that can be made is that anybody who opposed Hillary Care fifteen years prior must have been sexists right? Well since most of Americans oppose any type of government option in a health care bill, I guess we are all racists now. Newsweek should consider running with that as their next front cover. A Tiger that was on the prowl got caught by the tail instead. I resisted for almost two weeks mentioning anything related to Tiger Woods. People have been asking me, so I might as well just come out and say what I'm thinking. I believe the illusion of Tiger Woods has been shattered permanently. The illusion that Tiger Woods presented with the help of the media was that of a decent up standing family guy. Well we all now know that wasn't the case for at least three years. I'm going to say something that nobody has thought about to a possible reason Tiger Woods was a tiger on the prowl instead of a faithful husband. Of course I'm not making any excuses for his behavior what so ever, it's just a theory I'm throwing out there. Could it be that Tiger Woods suffered what Michael Jackson suffered from while growing up? Many people claimed that Michael had the mindset of a child, because he never had a normal childhood due to him being a child entertainer. That is why they said he experienced his childhood as an adult. Could it be that Tiger Woods never had a chance to have a normal dating life early on, because his father Earl Woods made sure that golf was the only thing of importance in Tiger's life? Once again, it's just a theory. For whatever the reason, Tiger Woods screwed up royally. Tiger had no real reason to stray. He has a beauty wife, two kids, had a squeaky clean image, endless endorsements and enough money to spend in several lifetimes. If I was in the shoes of Tiger Woods three years ago, I would actually consider using mace against any attractive women that would approach me. I would have probably used it on myself if I had the urge to stray as well. Of course I'm joking, but I think you all get the picture. I wouldn't have done anything to jeopardize what I had. How many guys could lay claim to marrying and having kids with a beauty swimsuit model? I feel bad for Elin Nordegren. All she wanted was Tiger to be faithful to her. A friend told me that Elin is the type of woman that married men would kill to cheat with not on. Tiger had a golden apple in his lap that was all his, yet he wanted grab the forbidden fruit beyond his wedding ring. Tiger joins the recent Hall of Shame inductees that include Governor Mark Sanford, Former North Carolina Senator John Edwards, washed up comedian and freak David Letterman. I know that nobody is perfect. We all are sinners. That is why we ask god to forgive us for our sins. I believe in the end people will forgive Tiger. I think their perception of him will change however. Instead of people holding him up on a pedestal as a role model, they'll just admire him for how great of a golf he is instead as they should have all along. A liberal Obama could get advice from on how to jump start the economy. During Obama's mock job summit, he told the participants that he was open to all ideas on how to get the economy going again. By him saying those words, he openly admitted that he had no ideas himself on how to turn around the economy. I said that much last year. Obama graduated from the Harvard School of Law not Harvard School of Business. Last year during his presidential campaign, Barack Obama actually had the nerve to attack John McCain, when John admitted that economic matters weren't his expertise. If only McCain would have challenged Obama on his lack of knowledge on the economy. It doesn't really matter as much now anyways. The bloom is off the Obama rose. The memories of George Bush are becoming more and more a distant memory as time goes by. The American people are finally waking up and realizing that they have been deceived. The number one concern among voters last year was the economy. The economy almost a year later is still their number one concern even more so. It has become apparent that Barack really doesn't know what he's doing. I know that he wouldn't dare ask a free market capitalist on how to get the economy going. His socialist ideology prevents him from doing so. Cutting taxes is the number one kick start formula to getting businesses to hire again. Obama is to busy focusing on the deception about the need to create "green jobs" and "shovel ready jobs". The biggest liberal lie told by liberals is that tax cuts don't spur economic growth. Former President John F Kennedy thought otherwise. The sad thing is that liberals of today would turn their back of JFK if he was alive today, because JFK understood how the economy works. If Obama had the economic mindset of President Kennedy, the economy would have been on a path to solid recovery. That isn't the case though, and Barack Hussein Obama is no John Fitzgerald Kennedy. The race baiting activist journalism of MSNBC continues. MSNBC is second rate cable news channel that can't draw an audience to save it's life. MSNBC is actually more liberal believe it or not then CNN. For some reason, the kooks over at MSNBC have some weird fascination with trying to paint any story that involves people who don't support Obama to some sort of racial plot or something. Back during the summer, MSNBC Anchor/Host Contessa Brwer and her commentators were commenting on the crowds that gathered in Arizona for Obama's health care summit. The crowds that gathered outside to protest against a government health care bill were the ones they found of interest. In Arizona, people can legally carry around firearms in the open. A man carrying an AK-47 was among the crowd of people who was protesting. Cortessa Brewer of MSNBC decided to make a story about the race of the people possibly wanting to hurt Obama because he's black with the man carrying the AK-47 as the focal point of the discussion. In their "reporting" they purposely left out one major bit of information about the person carrying the AK-47. In the footage, the MSNBC cameraman had no problem filming everybody else in the audience, but the camera man seemed to have a problem doing a pan out to show the identity of the man carrying the AK-47 for some reason. Greg Gutfeld of Fox News laid out what the MSNBC cameraman, Contessa Brewser and her commentators didn't want to report about the identity of the man who carried the AK-47. Which brings me to the latest story about MSNBC's latest attempt to smear anyone who isn't a fan of Obama as being racists. A few days before Sarah Palin started her book tour, I said that the media was going to attack not only her but smear her supporters as well. This is what MSNBC Anchor Chris Mathews and other MSNBC reporters had to say about the people who stood in line for Sarah Palin's book signings. It is reporting like this is why MSNBC can't attract a million viewers in prime time. MSNBC is purely about activist journalism. I've said many times that liberals are hypocrites. They claim to want a color blind society, yet it is them that keep wanting to make every issue about race as shown. Fox News is number one for a reason. The Commander In Chief went into the "enemy" camp tonight at West Point? I believe Chris Mathew's leg tingle over Obama has now impacted his brain. I didn't watch all of Obama's speech tonight, because I pretty much knew what he was going to say any ways. I'm still ticked off that Obama caused me to miss "A Charlie Brown Christmas". I'm wondering what kind of reaction did Mathews expect the cadets at West Point were going to show Obama? Maybe it never dawned on Chris that maybe just maybe some of the cadets feel that Obama hasn't acted decisively as Commander In Chief, I'm sure Chris wishes he was there to lead a pep rally for his beloved Obama. I can see it now. Chris Mathews wearing an Obama cheer leading outfit and swinging a set of pom poms trying to get the cadets to cheer on Obama. The speech by Obama was about a serious matter facing the future military strategy in Afghanistan. Chris should have been informed that tonight wasn't about Obama being treated like a rock star but the plan for Afghanistan. Just because the West Point cadets didn't treat Obama like people treated him on the campaign trail didn't mean that he was in "the enemy camp" as Commander In Chief as Chris stated. I still can't believe General Electric pays this clown millions of dollars a year for having a daily audience the size of a 3am infomercial. 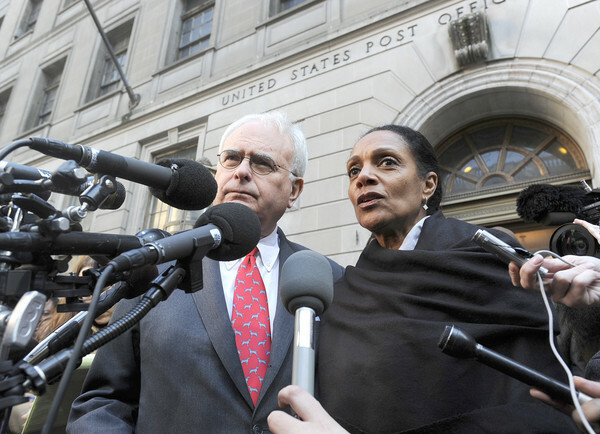 Baltimore Mayor Sheila Dixon found guilty. You all might want to archive what I'm about to say. I'm not wrong often. Common sense thinking has no flaws. I was proven wrong today though by the citizens that served on the jury of Mayor Sheila Dixon's theft trial. Our mayor was on trial for personally using gift cards that were meant to be given to needy families. Before this case went to trial, I thought for sure that Dixon was going to be found innocent. I came to the conclusion early on that she was going to have the equivalent of what is known as an "O.J" jury. An "OJ" jury is basically a jury made up of mostly one race with a unified agenda to find the defendant innocent regardless of the facts. I'm surprised that Dixon's supporters didn't try to play the race card as much against the State Prosecutor who is white and is a Republican. Baltimore Sun "it was a conversation had throughout corners of the market and pockets of the city from residents captivated by the more than two-week trial, with some declaring that the mayor has embarrassed Baltimore and should immediately resign from office and others saying Dixon was targeted because of her race and gender. Dixon is Baltimore's first black female mayor". This is what Melvin Burgess who is a black Dixon supporter had to say about Dixon's conviction "You've got people in office doing worse than that," said Burgess, a 54-year-old Baltimore native. "She was targeted. They think we've got too many blacks in City Hall." Mr. Burgess like many who think like him is a race blinded fool. If Sheila Dixon is removed from office because of her conviction, the City Council President Stephanie Rawlings Blake will become the new mayor. Stephane Rawlings is also a black female. Baltimore has a sixty five percent black population, and surprisingly most of them believe that Dixon committed the crime and should be removed from office. I remember when Washington D.C mayor Marion Barry was caught on tape in a hotel room smoking crack. Even with the evidence as clear as day showing his guilt, the black majority of D.C rallied around Barry and claimed that he was "framed". Sheila is the first black female to be elected mayor of Baltimore as I said. Now she is the first mayor ever in Baltimore history to be convicted of a crime, talk about historic. The jury convicted her on one count of fraudulent misappropriation by a fiduciary and acquitted her on two counts of felony theft and one count of misconduct in office. The jury deliberated for six days before finally coming to a verdict today. That tells me that the jurors really took their job seriously. Life is full of surprises. When Obama came to Baltimore earlier in January, he made sure to avoid Sheila like the plague. Even though Sheila is a major supporter of Obama, Obama wasn't one of hers apparently. I'm fascinated by the reaction of the local media over Sheila's conviction. They all are asking "what does this mean for the future of Baltimore". I wish they could have interviewed me, I could have told them easily in sixty seconds what this mean for Baltimore. Another liberal Democrat will become mayor, and it will be business as usual of the city of Baltimore continuing it's decay like most of the other liberal run cities in America. Note to Dixon supporters, it might not be a good idea to give any type of gift card to Dixon as a Christmas present.